Classic sweat jacket with clean, sporty look. Chest pocket with yellow edging and zip. 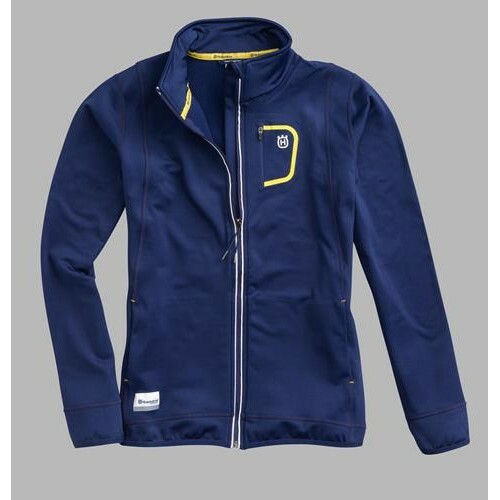 Husqvarna web label at hem, stand-up collar with Husqvarna logo on neck. White piping along the zip. Flatlock seams. Pockets with side opening. Elastic, soft trim on sleeve and hem.